Candidates who have qualified in Paper-I are eligible for the evaluation of Paper-II (Descriptive). The result of Paper-II will be announced shortly. Final result will be based on the combined scores of Paper-I and Paper-II. If candidates found any discrepancy regarding result of Paper-I, they are advised to inform WBSSC by 07.03.2014. 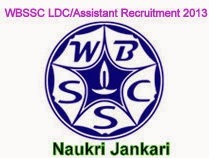 To view the result status of WBSSC LDC/ LDA 2013 exam (Paper-I), check here. 3 comments for " Result of WBSSC LDC/LDA 2013 Exam (Part-1) out "
when the 2nd paper result will publish?what will be total (i+ii) cutoff marks? when the final result is expected to come?